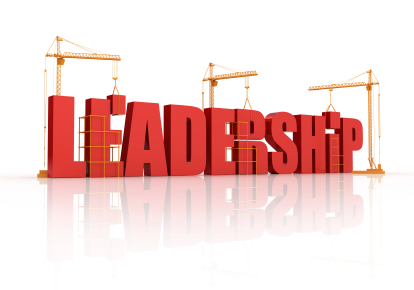 In recent years, there has been a lot of talk and writing on leadership. Under this broad subject, servant leadership has really been emphasised. In the political world, corporate world, Church and Christian institutions, servant leadership is a song that has been sung by many but only a few dance to its rhythm. Why so? Being a servant leader does not come naturally. To be a servant leader calls for humility, unselfishness, character, sacrifice, selflessness, transformation; all of which stem from a transformed heart, mind and enabled by the grace of Christ, who many years ago modelled servant leadership and made it possible by his deliverance. True transformation begins when Christ frees us and makes his home in our hearts. By His Spirit, He wants to change us both in the inside and the outside. And when this happens, our thoughts, attitudes, actions and, leadership motives go through a makeover (are transformed) such that we embrace and practice the servant leadership that Jesus modelled – because Jesus is our only bona fide measure when it comes to servant leadership. It is into the express image of Christ that Yahweh wants to transform us into. Transformation is never instant but rather a process. “And do not be conformed to this world, but be transformed by the renewing of your mind, that you may prove what is that good and acceptable and perfect will of God.” (Romans 12:2) From this Bible verse there is a clear indication that transformation is accomplished by the renewing of our mind. And the renewing of our mind has to be continuous. And actually before Paul comes to this passage in chapter 12, he has previously been talking about grace – the gospel of Christ dying instead of us, Christ being united with us, our sin being counted to him and his righteousness being given to us. And from Chapter 12, the message is therefore in view of this grace worship with your whole lives and be transformed by the renewing of your mind. How is this renewing to happen? The Word taught: The catalyst to renewing our mind is knowledge of the Word of God. To use the words of another, “There are a million and one self-help books on the market” but there is no other book that is God breathed and presents us with Jesus. Today in world of so much error and scepticism, the Bible has been somewhat abused. Some use it as a launch pad or justification for whatever we want to say and do. We want to open a chapter, read a few verses, get some action items and there we are off. If anything we don’t like the areas that have anything to do with Christians suffering or submitting, or purity…. That’s not the way it should be. But sadly that kind of preaching is making rounds today. In many circles faithful Bible teaching has been neglected or is no longer “fashionable”. The Bible has to be faithfully, relevantly, and confidently taught for the message therein to be communicated as God intended. The Word received and obeyed: For the word to have a transforming effect in our heart and mind, it has to be heard, received and obeyed. But remember that the transformation process is actually enabled by the Spirit. And the Spirit will only work with something and that something is the Word of God – His book. In the process of transformation, our hearts and minds are changed. We get conformed to Christ-likeness (image of Christ) instead of “to the pattern of this world” (Romans 12:2). The Spirit moulds us to kind of people that we are called to be. By that knowledge of the word we put off the old self (the wrong leadership motives, “Serve ME” attitude, the wrong thoughts, wrong behaviours, character defects that affect our leadership,) and put on the new (Eph. 4:17-32), aligning our living and leadership with that which Christ modelled (Philipians 2:5-8); seeking to serve and not to be served; being a servant first and a leader second. By grace: Apart from grace, we cannot model the servant leadership of Jesus. In 1 Corinthians 15:10 Paul says “By the grace of God I am what I am, and His grace toward me was not ineffective. I worked more than any of them yet not I, but God’s grace that was with me.” The apostle not only acknowledges the place of grace to save but also the place of grace in serving. The Word is the Word of grace (Acts 20:32), it is taught by people saved by grace and transformed by grace; the servant of the gospel has his ministry by grace, teaches by grace; the hearer of the word needs grace to hear and receive. In seeking to model servant leadership, we must not forget that in ourselves no-one is sufficient for these things, but rejoice for Christ’s grace is sufficient and by that grace He will transform us into servant leadership. What’s Gods will for me?